The eGo AIO ProBox Mod from Joyetech is a typical all in one quick start kit and the updated version of the AIO Box Mod. A 2100mAh built-in battery with a 2ml tank consists of the ProBox Kit. 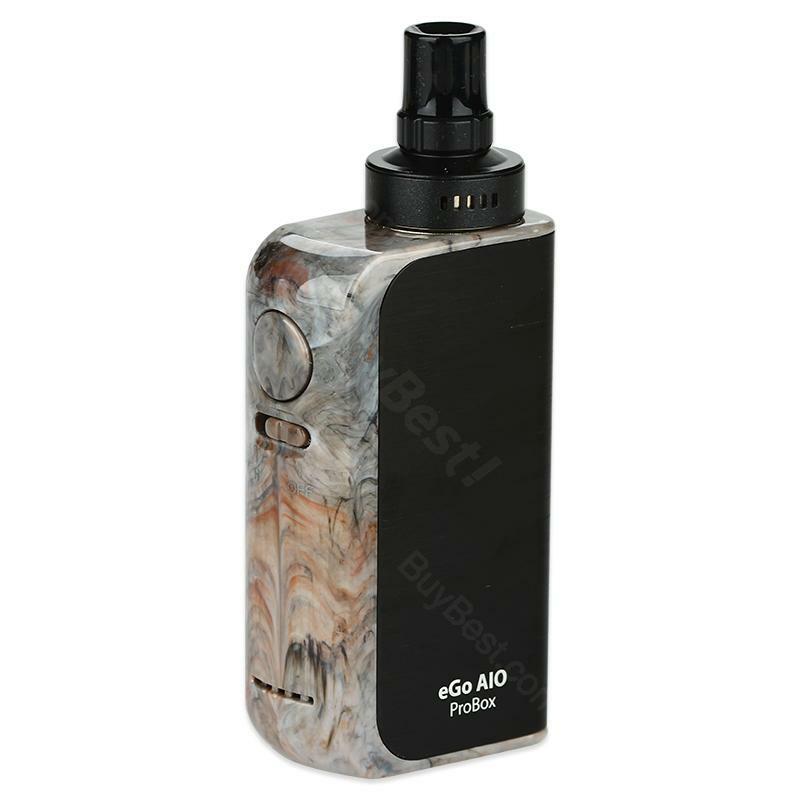 The eGo AIO ProBox Mod from Joyetech is a typical all in one quick start kit and the updated version of the AIO Box Mod. A 2100mAh built-in battery with a 2ml tank consists of the ProBox Kit. If you are familiar with the Joyetech AIO products, you'll know that most of their AIOs come with the unique antileak cup design to prevent the possible leaking. It is a top-filling and top airflow tank which fits in the MOD perfectly for the best flavor. And the LED lights of the Probox mod is 7-color changeable, which is pretty cool while using. BuyBest is selling 3 attractive colors with the best price now. Also, you may buy the replacement BF coils at BuyBest too. • 2 x BF SS316-0.6ohm MTL. • You can buy Joyetech BF Replacement coils to work with it, and 0.6ohm BF SS coil is suggested. Great look. Always love black. The ego is very convenient to use. I got my ego yesterday. Fast shipping. Very impressive. Aio is a good choice for beginners. Easy to setup. I'd like recommend to my friends who want quitting smoke.